Could a Chevy Beat Sedan in India Mean a Chevy Spark Sedan in the US? A Chevy Beat sedan could mean a Chevy Spark Sedan. Rumor has it that Chevy is planning a Chevy Beat sedan variant for the Indian market, perhaps as early as next year. The Chevy Beat is the equivalent of the Chevy Spark in other markets, including here in the US. Our source, IndianCarsBikes.in, gave little indication that a Chevy Beat sedan necessarily means the United States will be getting a Chevy Spark sedan, but it would almost seem like wasted resources if Chevy didn’t bring the car to other markets, including the United States. The article did report that “compact sedan versions of the new Beat may be exported from India,” though the US was not mentioned in the slightest. Chevy is in desperate need of a winning car in India. The Beat is currently one of its top performers there, but even then, Chevy is falling behind. 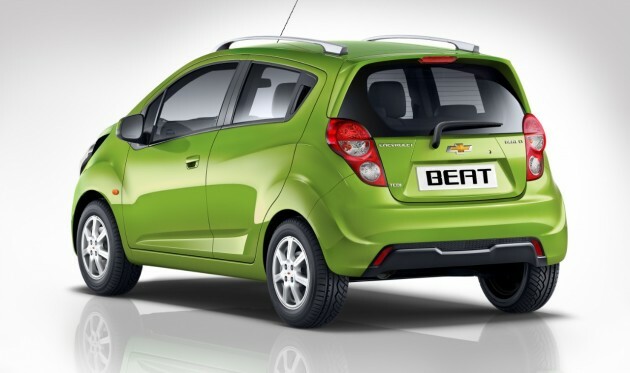 Chevy’s product planners hope that a sedan variant of the Chevy Beat will reinvigorate its Indian lineup. The Chevy Beat hatchback is built on the Gamma II platform; the sedan version is expected to be built on the same platform, with the same parts. The project, which has been codenamed MCM, will likely yield petrol and diesel engines. If we get a Chevy Spark sedan out of all this, it would likely lose the diesel engine.